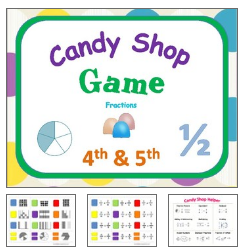 Along with tons of free resources, I also offer educational products on my Teachers Pay Teachers store. Sometimes it's just plain easier to draw a picture. 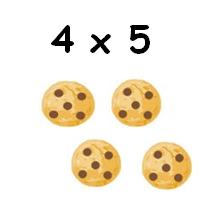 I love using chocolate chip cookies as an example of having cookie groups with equal amounts of chocolate chips in each cookie. ​Underline the easiest factor to skip count by. Circle the harder number. 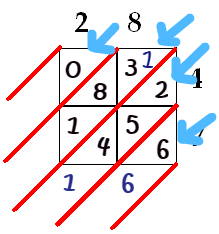 The circled number tells you to draw that many circles. Skip count within each circle. Arrays have two looks to them. One is organized groups of dots and the other is neat squares grouped in columns and rows. Either way, one factor becomes the groups and the other the number within. This strategy is great for big numbers multiplied by smaller ones. Just stack then up and add. Take the lager number and split apart the tens and ones place. 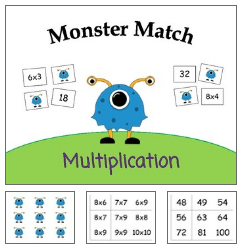 Multiply the smaller factor to the two new numbers. Now add the two products to get your answer. 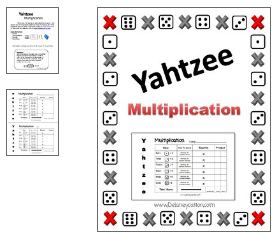 ​Multiplication is just addition. Make a tree by splitting the equation into groups. 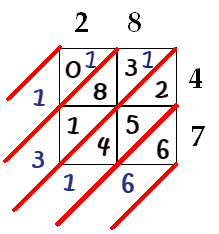 6X5 is really (6 groups with 5 in each group) or (5 groups with 6 in each group). Line up five 6's or six 5's as an addition problem. Add two at a time to stay organized and drop them below. Continue adding each row until a single product is found. Choose the hardest number to multiply by out of the two. Break that number down to two easier numbers, 7 can be broken down to 5 + 2. 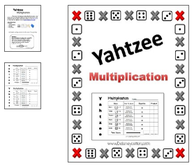 Now multiply by the 5 and 2 by the other factor add the two products. Start with what you know. Lets say you have 6 X 6 but are not very good with your six facts. 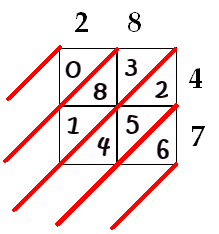 Ultimately you need to have 6 sixes so multiply with a fact you do know, like fives. 6 X 5 is 30, now add on that last 6 to get 36. For most parents this was the one and only strategy for multiplying in school. 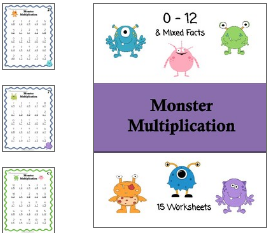 This step by step process starts with the bottom number multiplying the number, first in the ones place and then the tens. This strategy looks complex but is actually quite fun. To start you have 28x47. 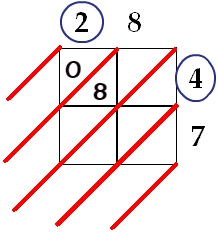 Place these numbers around the box. Then start multiplying Q1 = 2x4 writing the answer in base 10 form. The same for Q2, Q3, Q4. Follow the red lines from bottom up adding all the numbers, carrying to line above. Your answer is the number on the left bottom. 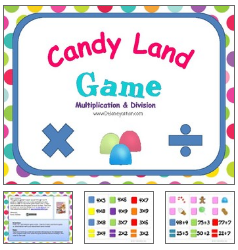 ​Fact families pair multiplication and division using the same set of factors and product. This method can be super easy as long as the divisor is a number you can skip count by. 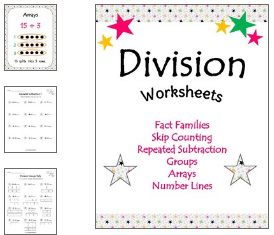 This strategy works by skip counting the divisor until you reach the dividend. The quotient is the number of times you had to skip count. It take the number 5, 6 times to reach 30. Just like it sounds, the dividend is repeatedly subtracted by the divisor until you reach zero. The number of times it takes to get to zero is your quotient. It takes 6, 3 times to subtract from 18 to 0. Use the divisor as the number of groups or arrays. Now share the dividend equally within the groups. The amount in each group becomes the quotient. 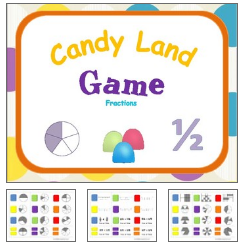 The use of number lines is very popular with the Common Core Standards in math. The idea is to create a number line that is the length of the dividend. From there, you have to mark off the distance of the divisor into chunks. The number of chunks becomes your quotient. 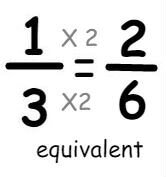 An equivalent fraction can be made multiplying any number by both the numerator and denominator. They can also be created by dividing the top and bottom by a common denominator. A fraction number line is divided by the denominator. It is the numerator that tells you how many jumps to move forward. 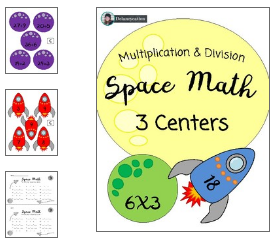 The easiest way to compare fractions is with pictures that are the same shape and size. 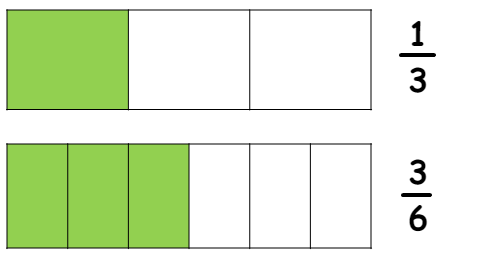 Once each fraction is divided by the denominators, we compare the shaded numerators. The best part of adding and subtraction fractions is that the denominator always stays the same. That means we only work with the numerators. Multiply both numerators and then multiply both denominators. 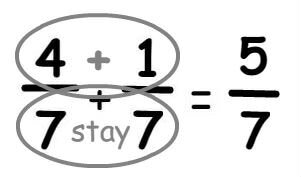 Flip the second fraction upside down and change the operation from division to multiplication. 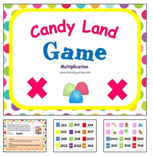 A mixed number is a whole number and a fraction together. The problem below shows how to change a mixed number into an improper fraction. 1. Multiply the denominator by the whole number. 2. Take the product and add the numerator. 3. This number becomes your numerator and while the denominator stays the same as the original fraction. An improper fraction is when the numerator is larger than the denominator. The problem below shows how to change an improper fraction into a mixed number. 2. The answer becomes the whole number. 3. The remainder is your new numerator. 4. The denominators stay the same. Taking a fraction of a whole number is dividing and collecting groups. 1. 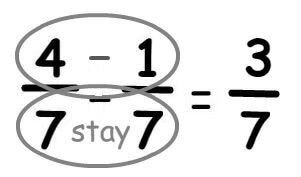 Divide the whole number by the denominator. 2. Now multiply that number by the numerator. 3. 27 is split into 3 groups = 9 + 9 + 9. The numerator tells us that only one of those groups, 9, will be collected.